With unions coming under attack from Janus and Right to Work, the International Brotherhood of Electrical Workers (IBEW) held the Legislative/Political conference as well as their Construction & Maintenance conference last week in Washington DC. The main theme of the Legislative/Political conference was preparing for the midterm elections. 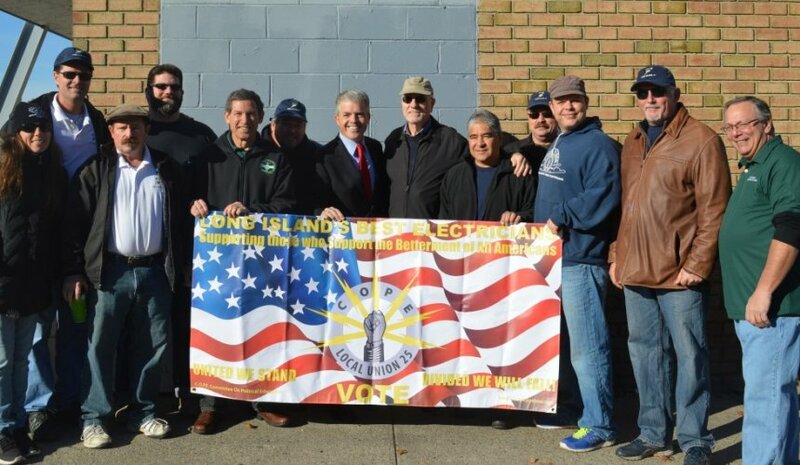 Pro-union elected officials and candidates spoke to the IBEW membership about the importance of activating union members to fight for candidates that are willing to stand up for their issues. Speakers included Conor Lamb from Pennsylvania who recently won his special election thanks to strong union support from locals like IBEW 29. Congressman Tim Ryan (D-OH) told the crowd that we can not continue to let Republicans divide working people in the middle of the country and that many of the economic problems we face today could be avoided if union membership was double what it currently is. The IBEW even invited some pro-union candidates to speak, like Richard Ojeda, who spoke about his work with the West Virginia Teachers during their recent strike.